Nate Andorsky is an entrepreneur who blends behavioral economics, data, and technology to help nonprofits move people to action and raise more money. As CEO of Creative Science he leads a team focused on building cutting edge technology through a deep understanding of the human psyche. Nate is on a mission to make sure every nonprofit understands the power of behavioral economics to engage existing supporters and recruit new ones. He has been featured in Forbes, INC Magazine, and Huffington Post. 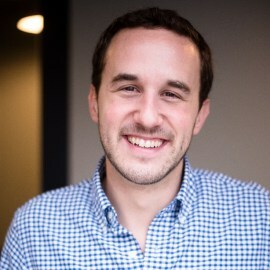 His team’s work has earned accolades from TopNonProfits.com and Fast Company. Prior to Creative Science he was a team member at the Startup America Partnership, a nonprofit led by Steve Case that builds entrepreneurial communities throughout the US. He geeks out about technology and the ways in which it can motivate people to do good.